Founded with utopian zeal and aimed at expatriates, Moscow News chronicled tectonic shifts that swept over Russia during the past lifetime. Moscow News offers a window in English toward a better understanding of the political and social upheavals in the Soviet and post-Soviet eras, providing a unique record of how the media adapted to the tumult that shook the USSR and the Russian Federation, from Stalin to Putin. The full archive of Moscow News is now available through East View’s Global Press Archive. 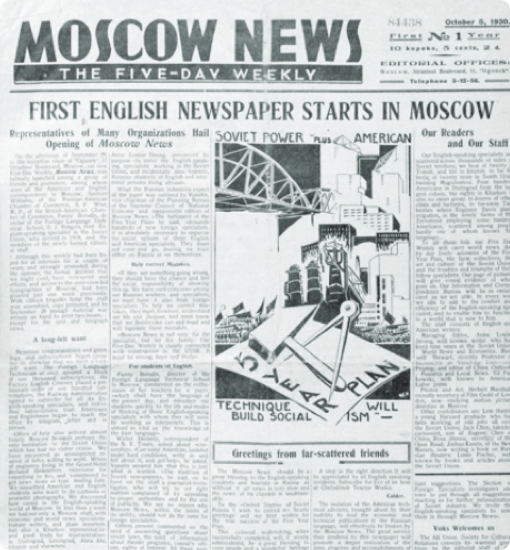 The Moscow News digital archive contains all obtainable published issues (1930-2014, approx. 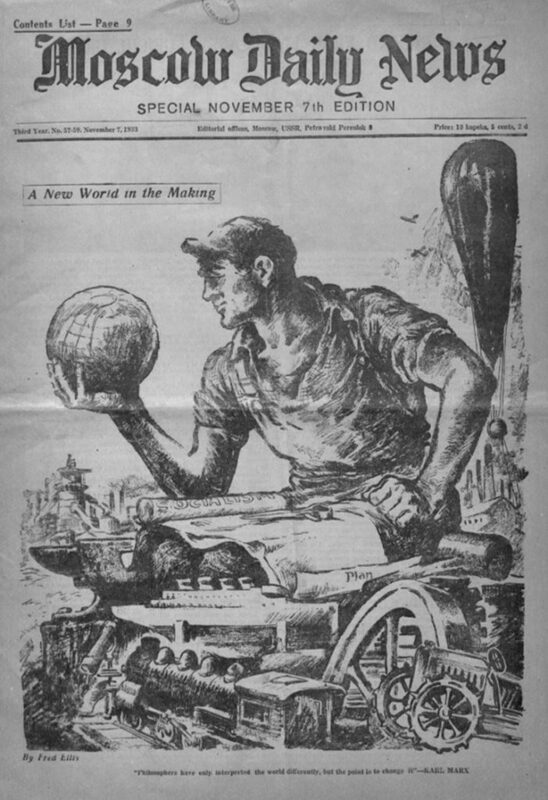 60,000 pages), including issues of the newspaper’s short-lived sister publication Moscow Daily News (1932-1938). The Moscow News digital archive offers scholars the most comprehensive collection available for this title, and features full page-level digitization, complete original graphics, and searchable text, and is cross-searchable with numerous other East View digital resources. Moscow News (pub. 1930-2014) was the oldest English-language newspaper in Russia and, arguably, the newspaper with the longest democratic history. From a mouthpiece of the Communist party to an influential advocate for social and political change, the pages of Moscow News reflect the shifting ideological, political, social and economic currents that have swept through the Soviet Union and Russia in the last century. In its early years, Moscow News largely served as yet another weapon in the Soviet Union’s propaganda arsenal. However, starting in the 1980s, Moscow News flourished into an influential independent resource and a strong proponent of Gorbachev’s policies of glasnost and perestroika. The newspaper became a platform for advocates of radical reform, as well as a forum for discussing traditionally taboo subjects, such as the repressions and show trials of the 1930s, the Katyn massacre of Polish officers by Soviets (not Germans), and more. Its reputation for critical, independent reporting makes Moscow News a valuable resource for understanding the tumultuous years surrounding the collapse of the Soviet Union, and the new challenges facing Russia in the Putin era. East View Information Services, Inc.
© 2019 East View Information Services, Inc.. Subscribe to receive email alerts about new products.